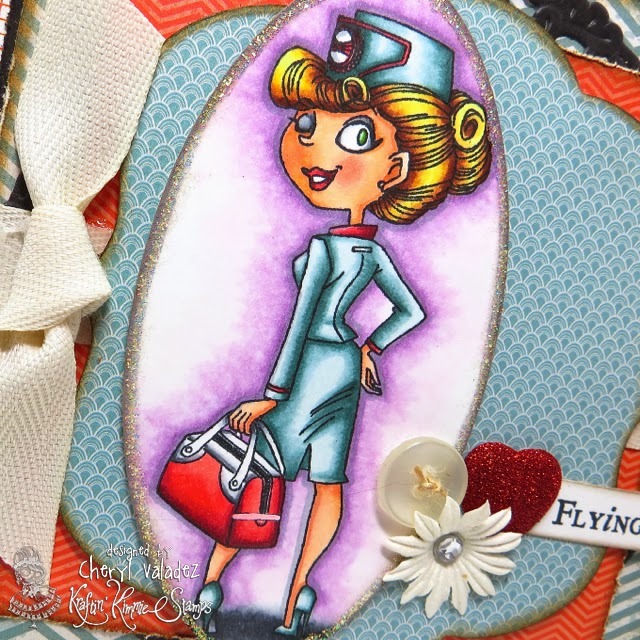 The Ink Trap: February Peeks at Kraftin' Kimmie Stamps: Day Two! 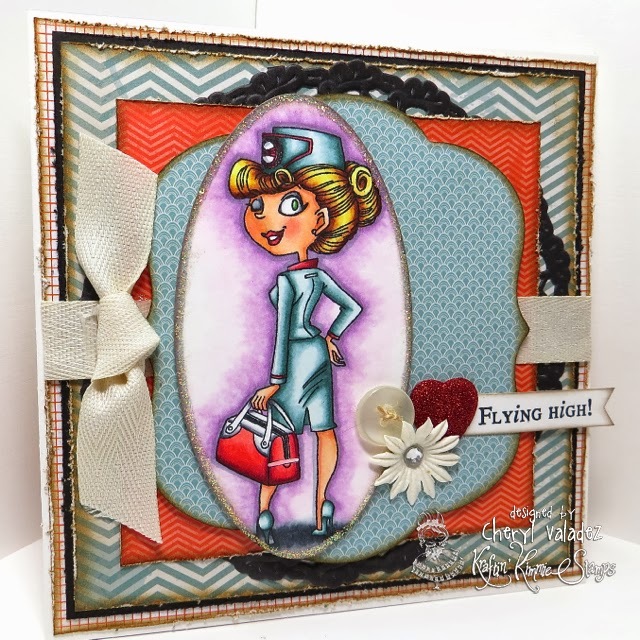 February Peeks at Kraftin' Kimmie Stamps: Day Two! Welcome back to Day TWO of the Kraftin' Kimmie Stamps FEBRUARY previews!!! We are back with a fabulous new Moonlight Whispers stamp set!! You'll love these two SASSY girls along with the SIX fun sentiments!! Today the Krafty Girls are thrilled to share with you.....GLAMOUR GIRLS!! There are lots of amazing creations on today's hop featuring both new images and sentiments from the set!! We know you are just going to LOVE these images and be inspired by all the fun designs!! ALL of our FEBRUARY stamps will be available on Saturday night at the Kraftin' Kimmie Stamps Shop!!! We'll be celebrating at our LIVE ONLINE RELEASE PARTY!! It's over at our KKS Facebook fan page! Join us for all the fun!! Woow! Your card is really nice! And I really love that stamp. A great card. Like the colours you chose. I agree with all the others, your coloring is fabulous! Lovely and really glamour card! Great coloring and this paper combo is awesome. Thank you for your inspiration! Stunning! As is all of your creations! Thank you for the blog hop stop! Wonderful shading on your colouring! just amazing shading and choice of colors, Very inspirational, thank you for sharing, I just want to try it. Interesting layers of patterns and colors- really sophisticated. The pop of purple is unexpected. Now she's a stunner isnt' she. Wow...very nice indeed...and your colouring as always is simply amazing!! Wow. Wow you have some great coloring skills! Beautiful! This card is very nice! This is wonderful!! Love how you colored this great stamp!! This is gorgeous!! Love the coloring you have done on her dress. fabulous colors on your card!